Yeh Ishq Bale Pura Na Ho is the song from 2015 show Ek Tha Raja Ek Thi Rani which is airing on Zee Tv.This is the love song played for the main leads Rana Indravadan Singh & Rani Gayatri Devi. 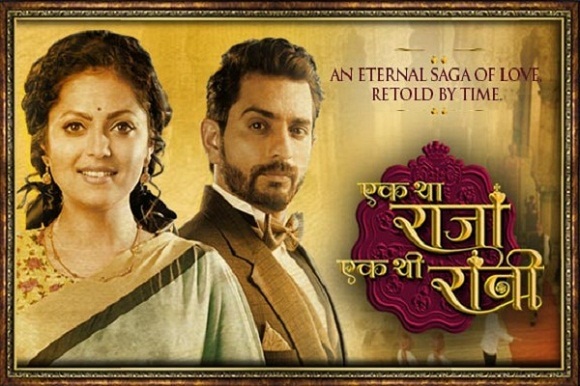 Siddhant Karnick is essaying the role of Rana Indravadan Singh Deo and Drashti Dhami is essaying the role of Rani Gayatri Dev. This show is directed by Santram Verma & Bhushan Patel and produced by Sujoy Wadhwa under the production house Sphere Origins. Telly Samachar is the complete entertainment portal which provides latest news and updates of Television shows,songs,lyrics,galleries,biographies etc..also providing info about various ad commercials.The main aim behind launching this site is to bring all tv show songs lyrics and star biographies at one place.Hope u all will like the site and support us.